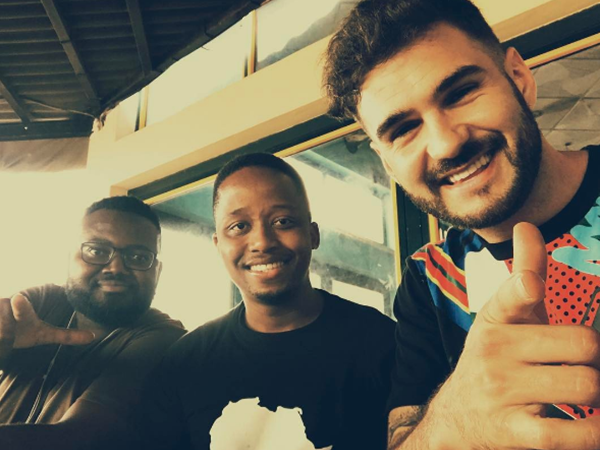 Many may know him as the guy who plays the trumpet from popular local group Mi Casa, but there's so much more to Moshe Kgasoane – better known as Mo-T – than meets the eye. "My motivation of doing what I do has always been to change lives on the daily. To use something that makes me so happy and something I have so much passion for and for it to help others too,” he told YOU. From the start of his growing love for the trumpet, to growing up with an iconic trumpeter as his dad – the late Banza Kgasoane of Mango Groove fame – YOU caught up with Mo and got all the deets on his life, lessons, fitness and the three ladies in his life, wife Lovegocia and two daughters Bothlale and Tlhalefang. But we couldn't chat to him without getting a little sneak peak of his trumpet playing skills! Without hesitation, Mo picked up the brass instrument, passed down to him from his dad, and played us a little snippet of Mi Casa's La Vida. For more about Mo's story, be sure to get your copy of YOU Magazine on shelves now!